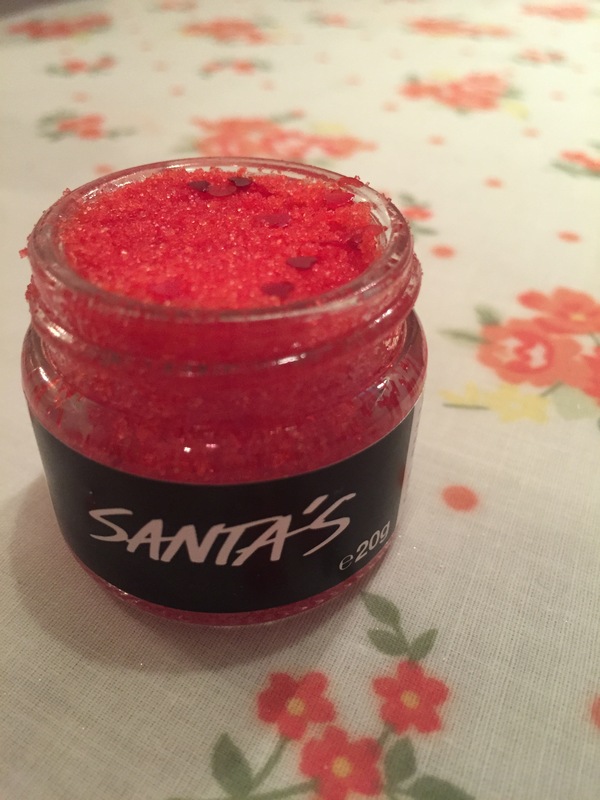 Can a person ever have too many glittery, deliciously scented products in their life? 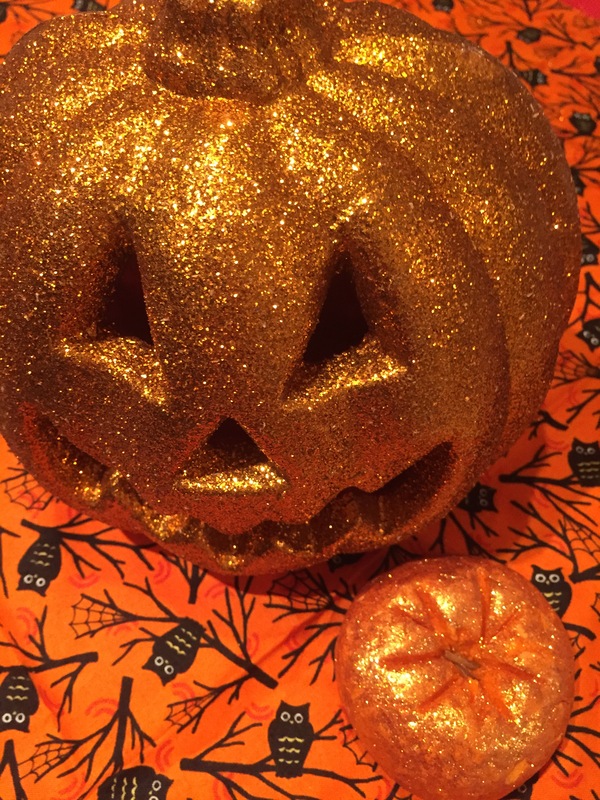 The simple answer is no, in our humble opinion, especially at this time of year when the nights draw in and we tend to spend more time indoors. 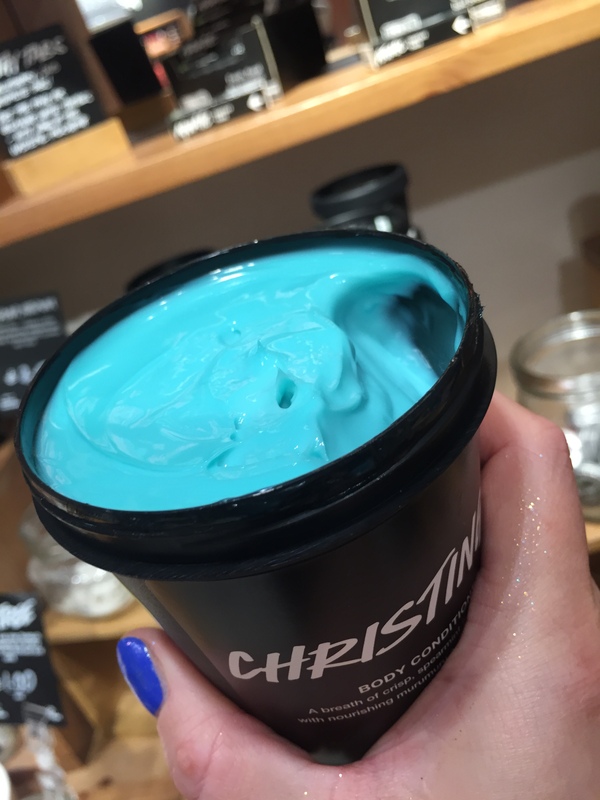 With our increasingly busy lives, it’s important to schedule in a bit of ‘me time’ and for us, little treats like scented candles and warming bubble baths can be truly restorative. 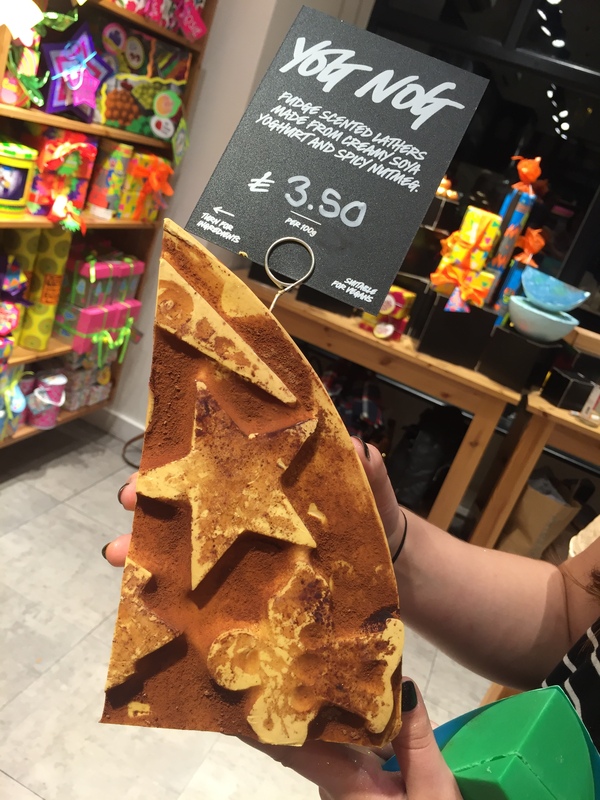 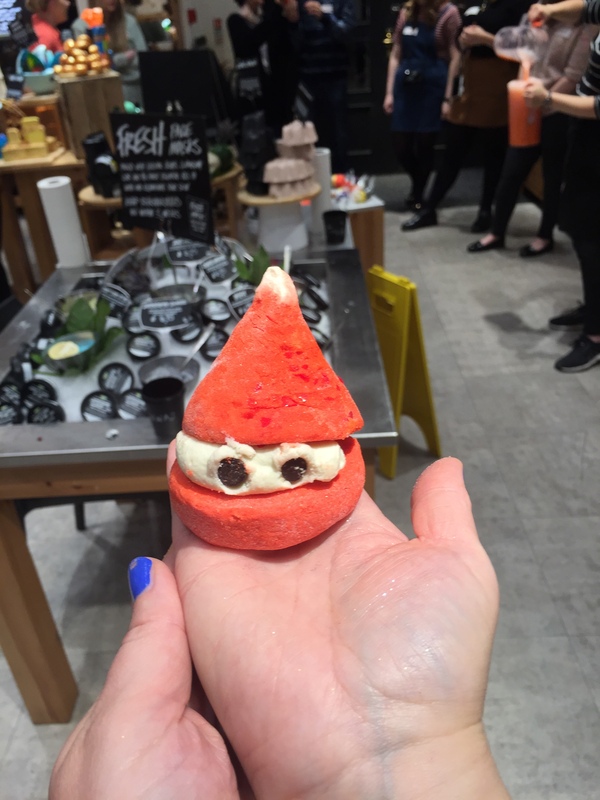 With this in mind, we were more than a little excited to be invited to a bloggers showcase at the Lush store in Chester, where we would be shown the store’s new Halloween and Christmas ranges. 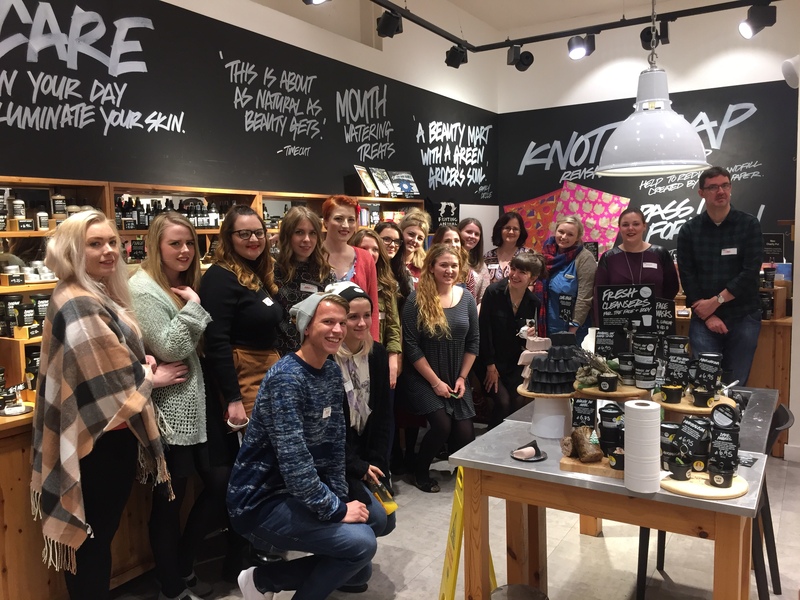 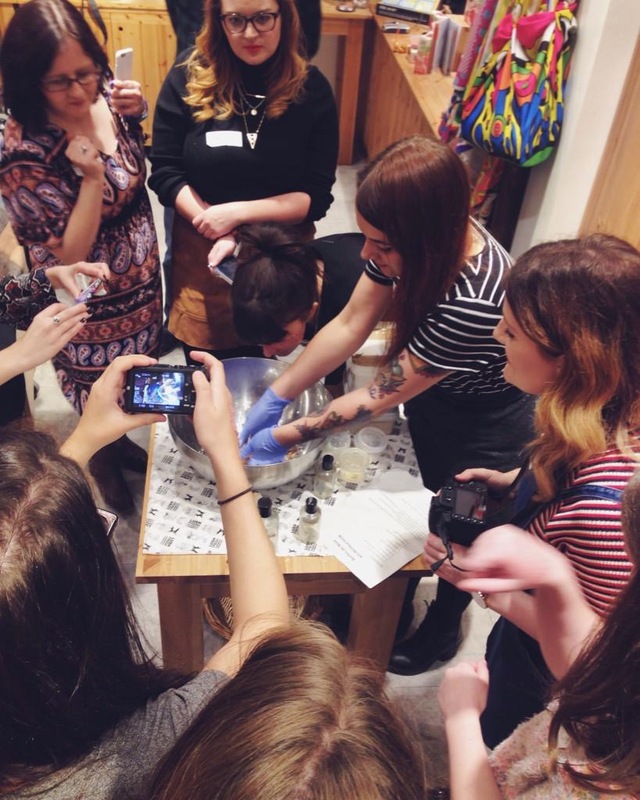 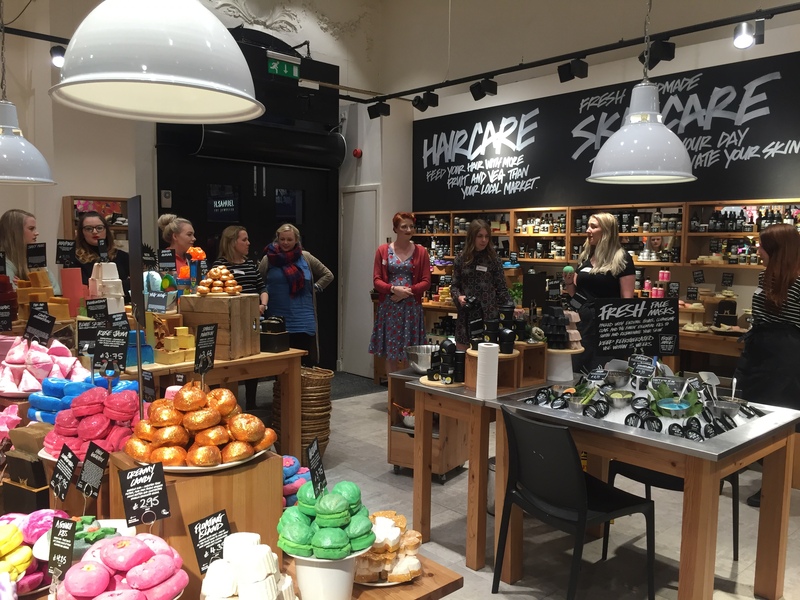 The bloggers showcase saw team We Are Chester meet up with beauty bloggers from across North Wales and the north west to get to try out some of the company’s latest products and to hear first hand what goes into these handmade, ethically-produced goodies. 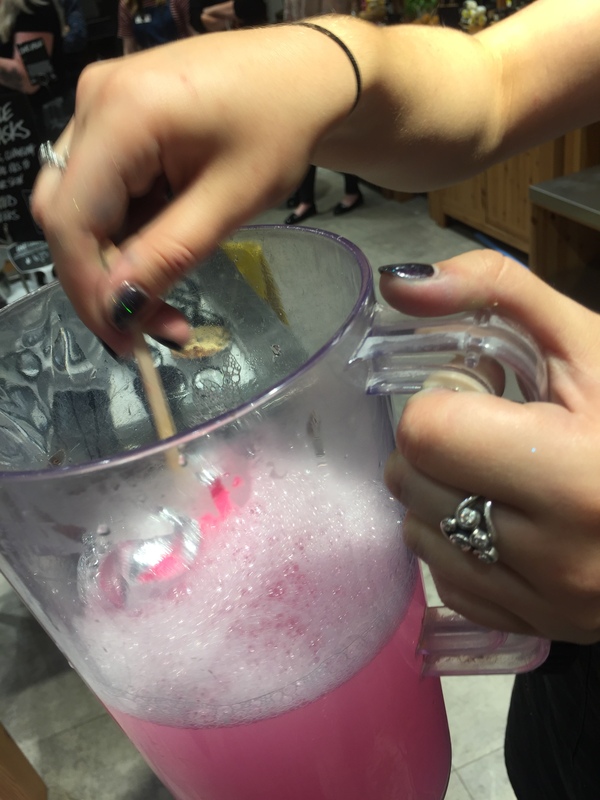 We got to make our very own butterbear bath bombs and even played a tricky game of catch with a scented and delightfully wobbly Santa’s Belly shower jelly – slightly surreal but seriously good fun. 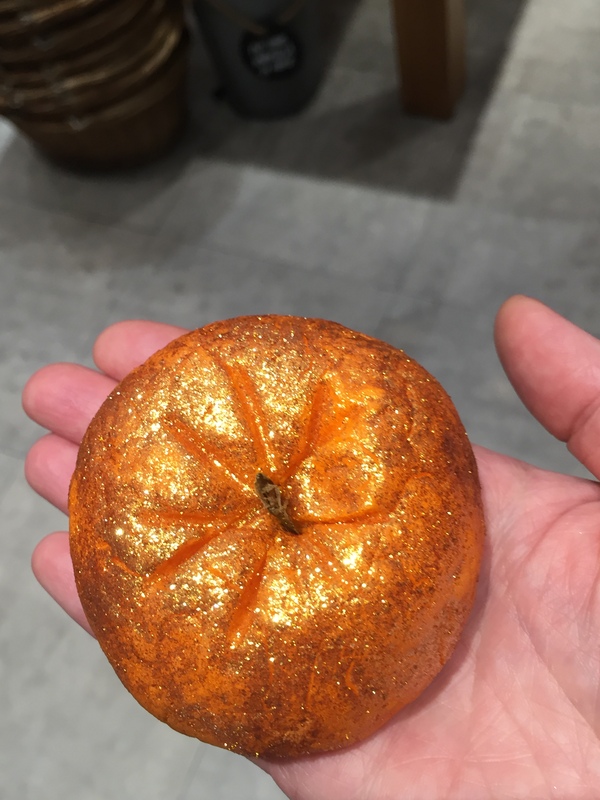 As I type, I can smell the gorgeous scents emanating from my bag of Lush goodies and my hands are pretty well coated with gold glitter. 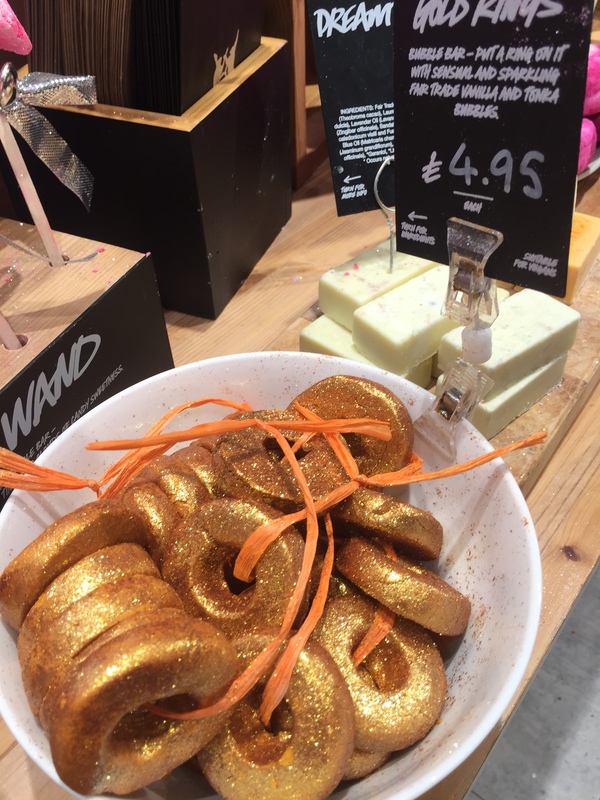 The culprit is the glitter fest that is the pumpkin bubble bar – a feast for the senses with its soothing scent of juniper berry, lime and grapefruit. 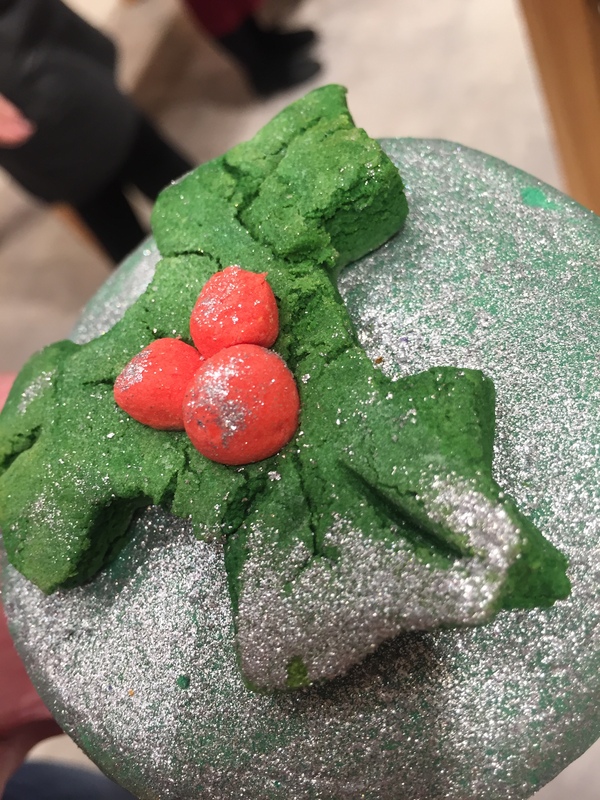 It’s fair to say that Lush have gone to town with their many and varied scented bundles of festive goodness that are on offer in store at the moment. 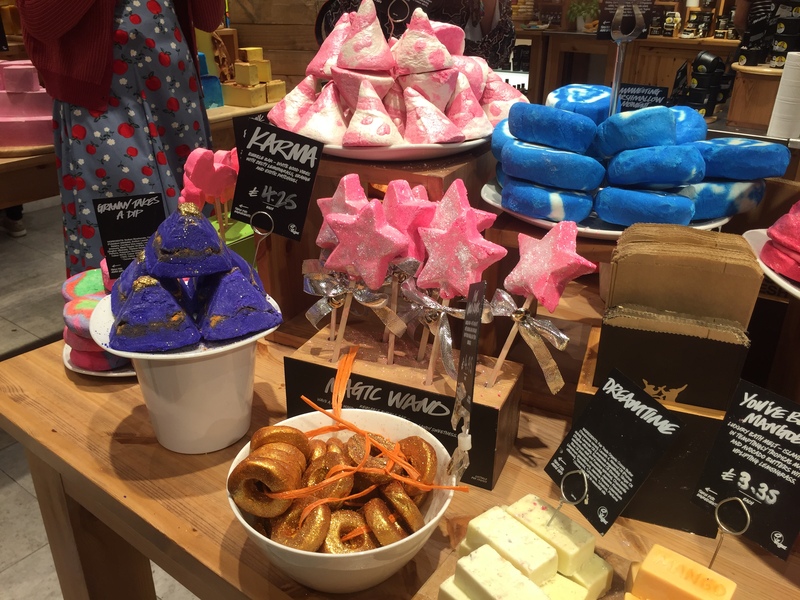 From the delightful wobble of the Snowman shower jelly to the comforting scent of Snow Fairy shower gel, this ethically minded company has a wide selection of handmade products to help see us all through the autumn and winter months in style. 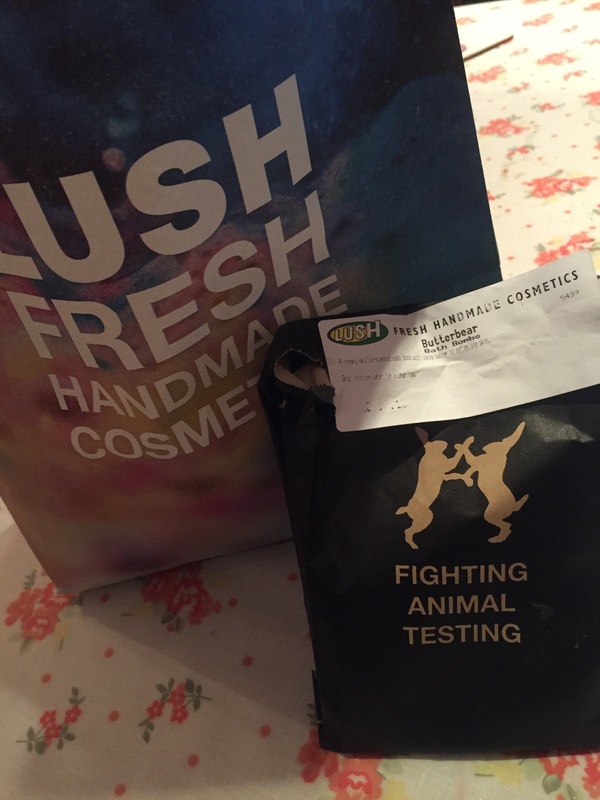 And, and this is a big and here, Lush prides itself on its stance against animal testing and in ethical buying. 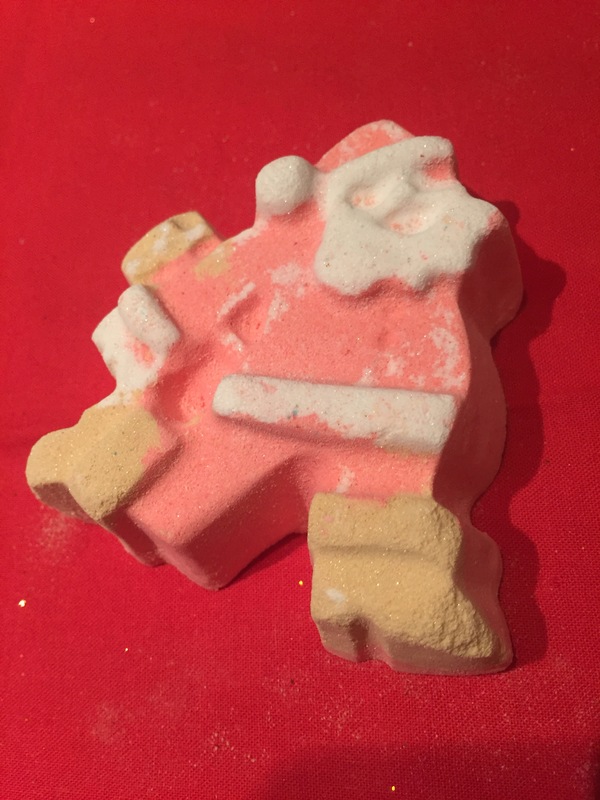 Buche de Noel festive face and body cleanser – smells very Christmassy and, like many Lush products, it looks and smells almost good enough to eat!